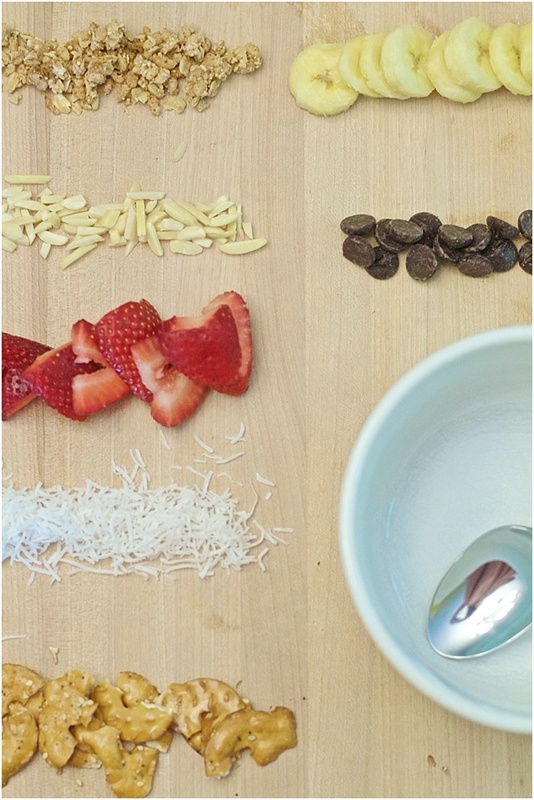 Chasing Davies: My Favorite Smoothie Bowl Toppings! 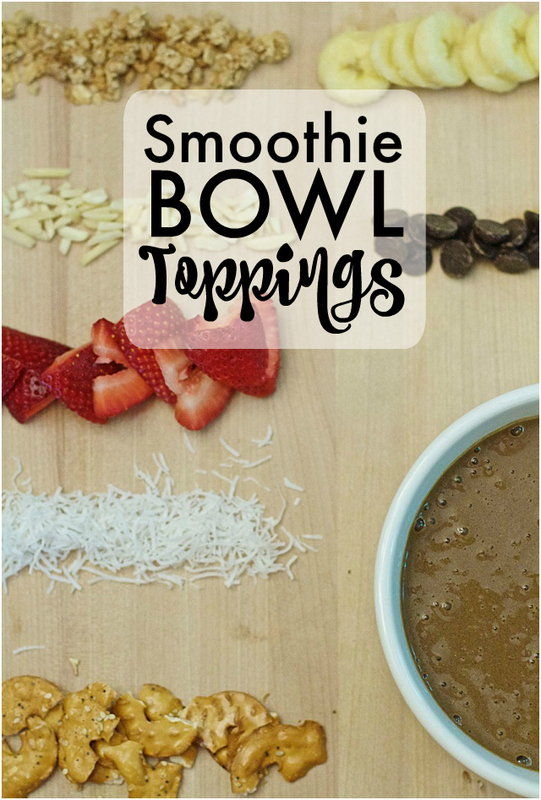 My Favorite Smoothie Bowl Toppings! Smoothies are still super popular, and smoothie bowls are continuing to trend - and for a reason! It feels like you are eating dessert. 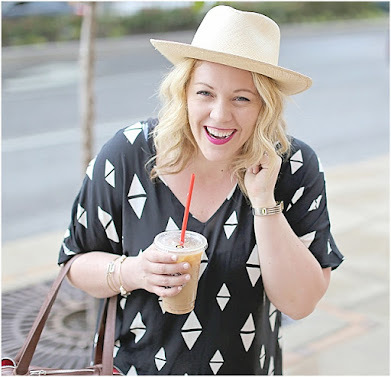 But that ice cream-like dessert is still the healthy smoothie (mine stuffed with kale!) that you'd drink for breakfast, with just less wet ingredients (water/milk). Eating it from a bowl and with a spoon also slows down the consumption process, which is always a good thing. But decorating the top of the smoothie bowl is probably my (new) favorite part. Depending on what I packed in my kale, protein powder and frozen fruit smoothie with and the time of day, I "decorate" the top with coordinating toppings. I'm sharing 7 of my favorite toppings + a few smoothie bowl making tips below! 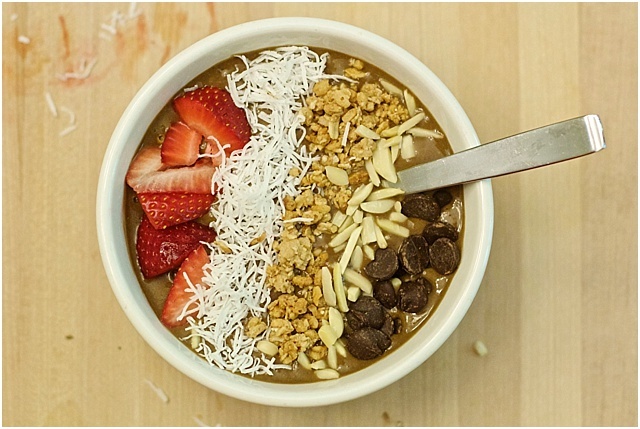 Do you have any favorite smoothie bowl toppings?? 1. Sliced banana - but only if I didn't use a banana in the base of my smoothie! 2. Sliced strawberry - typically if I did use a banana in the base of my smoothie! 3. Granola - currently a peanut butter kind with is extra good on a banana/chocolate (protein powder) smoothie. 4. Sliced almonds - a great crunch! 5. Unsweetened Shave Coconut - very subtly sweet naturally. 6. Dark Chocolate - only sometimes, mainly when I'm craving a dessert. 7. Thin Pretzels - a new favorite! A delicious salty addition to a sweet smoothie. Tip: To make a smoothie bowl vs. smoothie - I start with less liquid, typically using a bit (about 1/3 cup) of almond or coconut milk and I add in more crushed ice than when I make a regular smoothie that I can sip from a cup. I also use only, or at least mainly, frozen fruit - which helps keep the mixture thick. 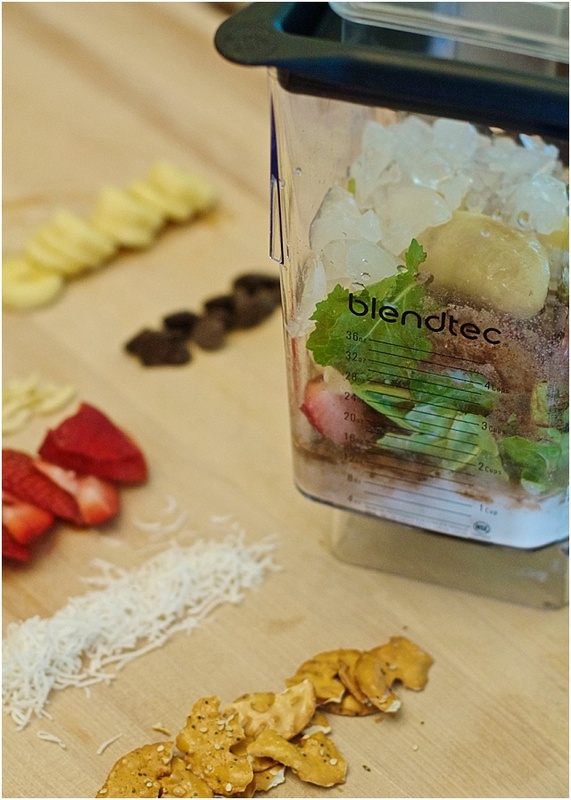 When in doubt - use less liquid and add a bit at a time during the blending process! You can see my little Nora even loves smoothies (smoothie-mustache). ;) I always make a bigger batch to give each of my kiddos a small glass of their own - I mix their's with a bit more water after syphoning off my thicker portion. Nora loves to help, watch and taste test (before it goes onto the top of the bowl) the decorating portion - but when I sprinkled a little coconut flakes onto her smoothie, she did not like it and wouldn't drink it - toddlers! haha... to each their own. This is a more intense bowl for a whole meal I had this past weekend. It's so filling and fulfilling - different textures and tastes, and mostly all super healthy (but none of it terrible - isn't dark chocolate considered healthy!??!). Most of the time I stick with one crunchy topping, one fruit and coconut flakes. I'm so curious if you have any favorite toppings or topping ideas! 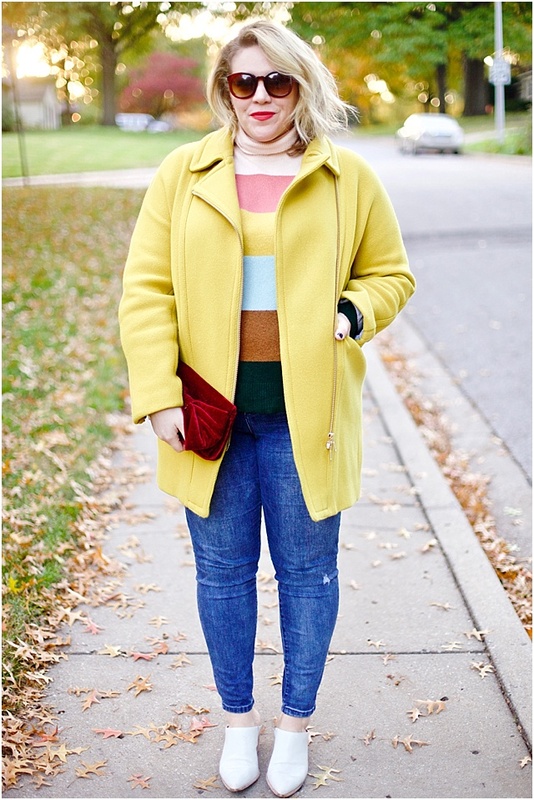 I'm always up to try something new! If so, share in the comments below.